Again the village idiot speaks. Sharia Law is not a part of our values here. Here beating women, child marriage, female genital mutations, and being submissive to men along with killing gays or lesbians and transgender people is against our laws. Let’s just drop this woman into a Sharia Law Islamic country and let her experience this wonderful ideology first hand. She would be dead by tomorrow. 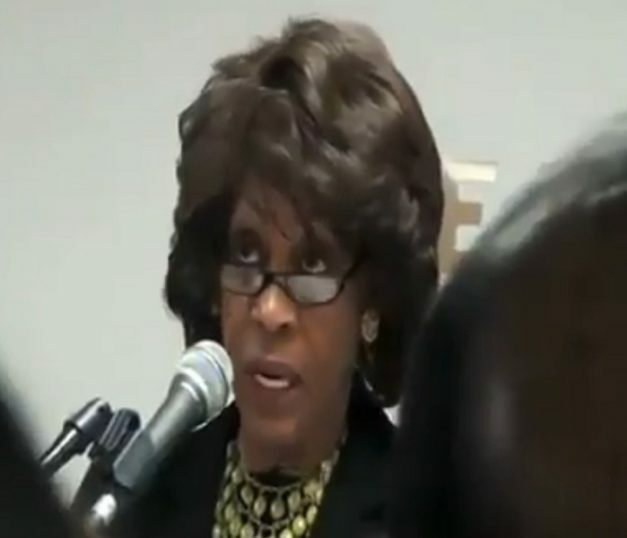 It’s not hard to prove that Sharia Law is such a far-fetched idea when you see videos like the one below where Democrat Congresswoman Maxine Waters, while speaking to the Islamic Society of Orange County, CA at a town hall meeting in 2012, condemned Republicans in front of a Muslim audience for trying to make it unlawful for Sharia Law to be enforced in America. And that’s supposed to be a bad thing? As for the claim of strategy, one need only look to the goals of the Muslim Brotherhood to determine whether this is a strategy or a conspiracy theory. I’ll go with what the Muslim Brotherhood has written concerning this issue. Mrs. Waters is either ignorant (without excuse) or she is complicit. In either case, this woman is not fit to hold office. She then declared that, at the time, at least thirteen states were looking to adopt legislation forbidding Sharia. What is wrong with that? We have a US Constitution. That’s the law in the US. Each State has a Constitution and as far as I know, not one of them is Sharia compliant. But what happens when states try and push forward this legislation? You guessed it, the Islamists and their socialist and communist friends come out of the woodwork to try and beat it down. Just look at Oklahoma, where the federal government tried to force them to overturn anti-Sharia law and to pay Islamists $303,333! After speaking about Newt Gingrich’s call for Sharia not to be recognized by any court in the United States, she smugly declared that she doesn’t mind calling names and telling it like it is, but you will find absolutely no mention in her pre-written speech about the Muslim Brotherhood’s goals, will you? Establishing an effective and stable Islamic Movement led by the Muslim Brotherhood. Adopting Muslims’ causes domestically and globally. Expanding the observant Muslim base. Unifying and directing Muslims’ efforts. Supporting the establishment of the global Islamic State wherever it is.